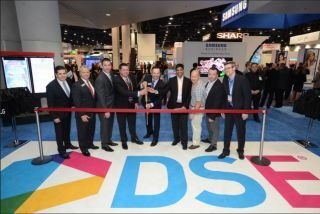 Digital Signage Expos’ four-part Digital Signage Seminar Program at DSE 2016 will include an hour-long session entitled, “Bringing Your A Game: Cohesive Strategies for a Profitable Digital Display Program.” The program is catered toward digital out-of-home and place-based network operators. Steve Harris, Vice President and General Manager at Cineplex Digital Solutions, Leigh Rosar, Director of Specialty Leasing and Marketing at Oxford Properties, and Rick Cope, CEO of Nanolumens, will team to present a case study of how to tackle complex network installs of digital displays in shopping malls and developed strategies to achieve long-term operation goals. Registration for “Bringing Your A Game: Cohesive Strategies for a Profitable Digital Display Program” or any of the DSE 2016 educational conference seminars is available online at www.dse2016.com.